Thunderbolt™ 3 Cable (USB-C™ to USB-C) (60W) (6.5ft/2m) is rated 1.0 out of 5 by 6. 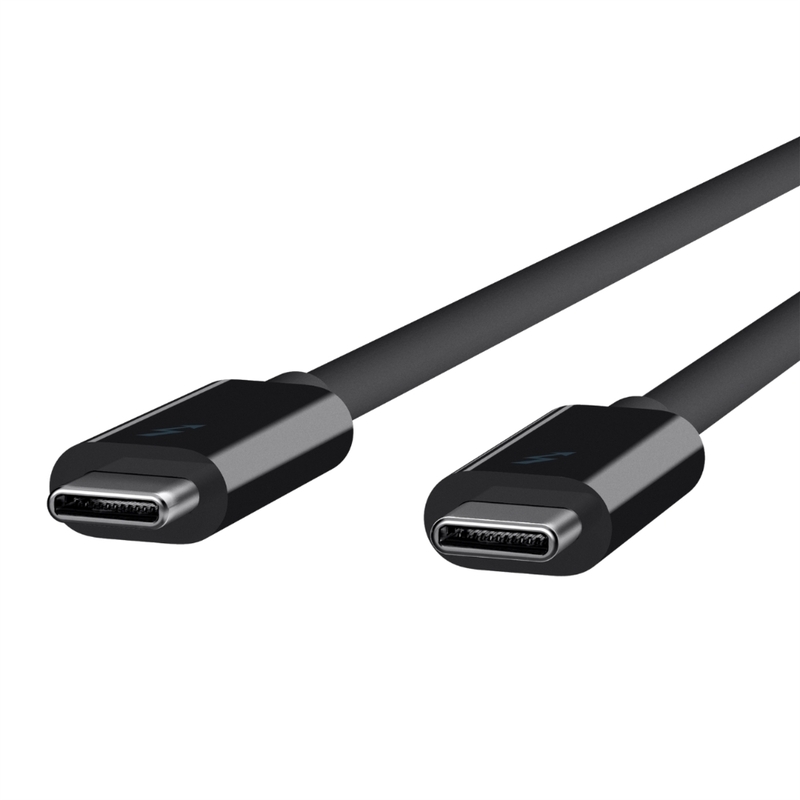 Experience super fast speeds, more pixels in 5K, and amazing power delivery with the USB-C to USB-C Thunderbolt™ 3 Cable. Compatible with Thunderbolt 3 and USB 3.1, it has the power and versatility to transfer data between two USB-C devices, support a 5K display and power a laptop with up to 60W of charging power, without the need for an additional power cable. 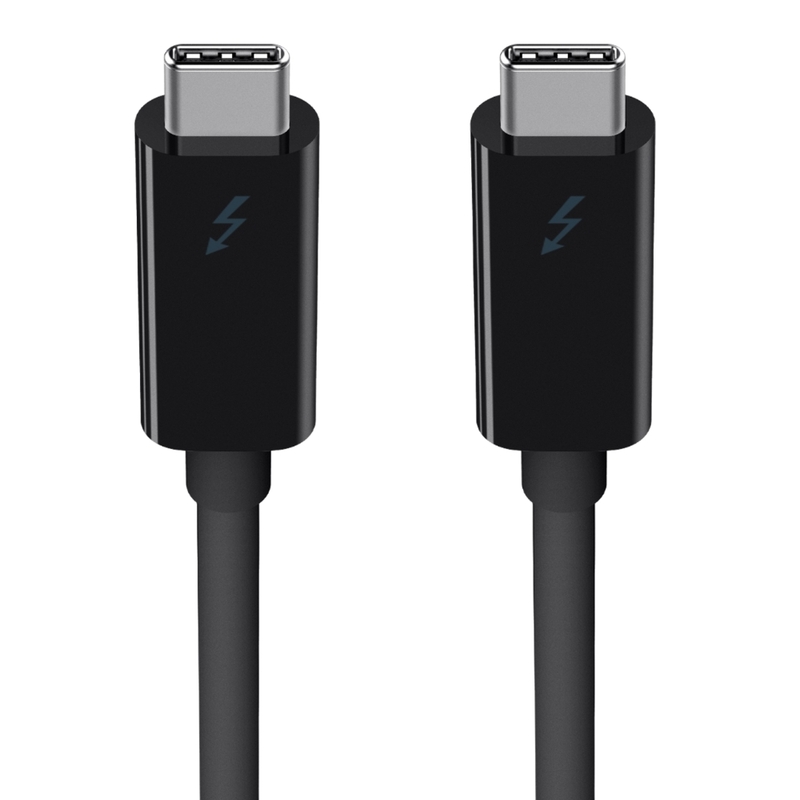 The Thunderbolt 3 Cable supports speeds up to 5Gbps for USB 3.0. For a USB 3.1 host connected to another USB 3.1 device such as a hard drive, it can support data transfer up to 10Gbps. 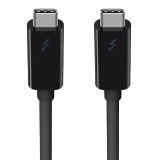 When connecting two Thunderbolt 3 devices, data transfer rates can reach 40Gbps. The Thunderbolt 3 Cable delivers up to 60W of charging power to your device without needing an additional power supply. Rated 1 out of 5 by bartsnakes from doesn't connect to external display I bought this cable for an external display, but my display gives an error code: could not connect, please check the input cable. Rated 1 out of 5 by clint from Does not work with MacBook Pro 13" + Display I bought this cable at Best Buy. As other reviews have stated, it does not work at this length. I have an Acer XR382CQK with multiple devices attached to the USB hub. 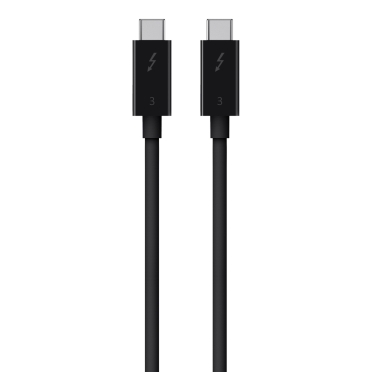 With this cable, once you plug in the MacBook pro, the computer *dings* recognizing a charging source... then "loses" that charge... then *dings* again... then loses it... basically it cycles three to five times before giving up and charging. The monitor never receives a signal. Shorter cables work fine. This one simply does not. Rated 1 out of 5 by HDSchellnack from Slow Same problem as above, with various external disks. While a shorter LaCie USB-C port gets me about 140 MB/s, this one is between 20–40 MB/s. MacBookPro 13", using the left hand ports, Porsche LaCie 8GB. The speed basically tripled with the LaCie-cable. 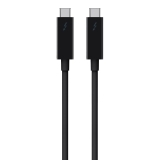 I bought three of these cables on the Apple Store due to the claim of the cable delivering high speed data transfer, all three simply do not so far. Rated 1 out of 5 by Nyghtwel from Cable doesn't output display I bought this cable to have a longer cable to connect to my MacBook, however it doesn't output the display. It only chargers my laptop... I just paid $52 for a charger cable. Rated 1 out of 5 by BlueRaider from Not Razer Core Compatible I bought one of these a couple days ago at a local Apple Store. I had been checking here everyday to see if Belkin had released them so I was extremely surprised to see them on a shelf in a retail store. As soon as I got home I hooked my Razer Blade Stealth up to my Razer Core (it works perfectly with the 0.5m cable it came with) and it absolutely refuses to work with this cable. If you check Amazon reviews for competing 2m 40Gbps cables you'll notice it seems to be 50/50 if they work or not with the Core. I'm disappointed but I've chalked it up to these longer cables being brand new and I hope whatever the issue is can be resolved.